One other thing: there is a cut in the tang just beneath the shoulders. While it may be impossible to grind it out completely without thinning down the tang too much, I would at least file down the corners. The cut as is is a stress riser right where most force is concentrated. Not good. This was my first customization project. I think this might be helpful to you all. 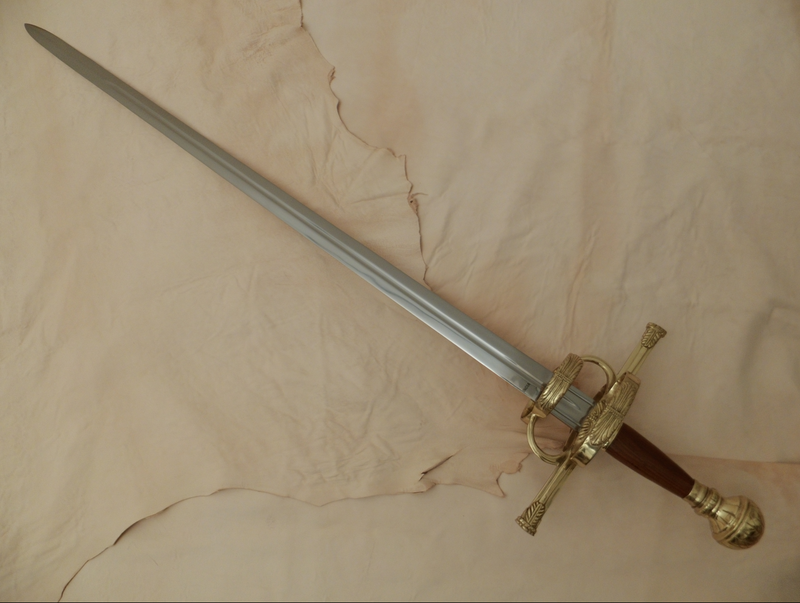 I've followed an instruction on disassemble DSA sword from this thread. Everything was accurate except my sword wasn't peened at all. The tang is really ugly. Tang width is about 7-8 mm and then taper down to 6 mm in threaded section. Tang thickness is around 5-6 mm. Here's my 2nd attempt of assemble this sword. 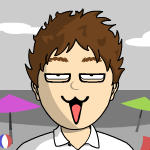 Yes, thank you very much for posting 752002! Any bit of info will be of help to the community. See it as an important primer in case you should wish to own the sword. At page 6 you will find these findings too. Read the discussion please and find out the many things that are not in order with this Mortuary. That said, it is not a bad sword, but it needs your urgent attention to certain details like tang play, guard play etc, etc. The pommel nut construction is okay when other issues are fixed first. 1.CS clearly designed a construction a la Darkwood Armoury. 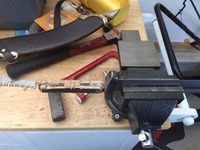 DA uses this same type of nut to make swapping blades, bated to live and vice versa, easy. That said, DA tangs tend to be quite beefy and are made with extreem care, as they must be, to make this type of construction safe. What I found here does not, or barely, cut it. The pommel nut. The thinnest part is threaded on the inside. It takes barely 9 turns to remove this nut. 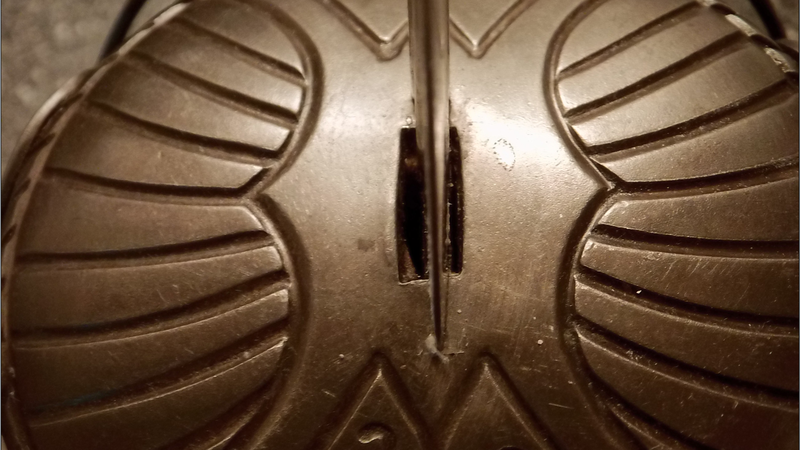 The middle part sits in the pommel. That fit is quite good. 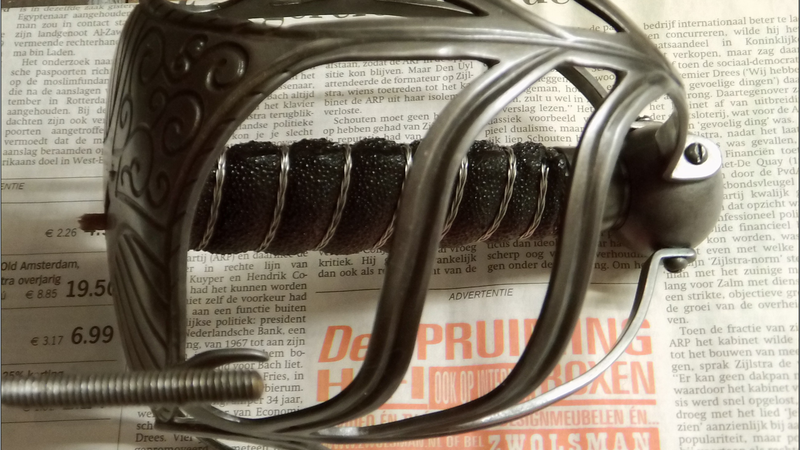 As you can see here, the entire hilt assembly just shoved right off. Once the pommel nut is gone, anything is possible. See that piece of wood sticking out of the guard? The grip is made for a 6mm blade cq tang and they just shimmed it. A bit. 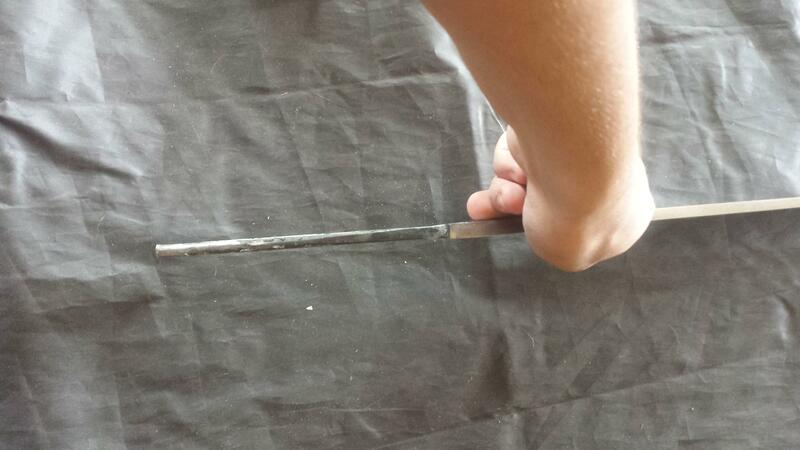 With a measely shim like this the grip will start to roll in no time if the sword is used for cutting. 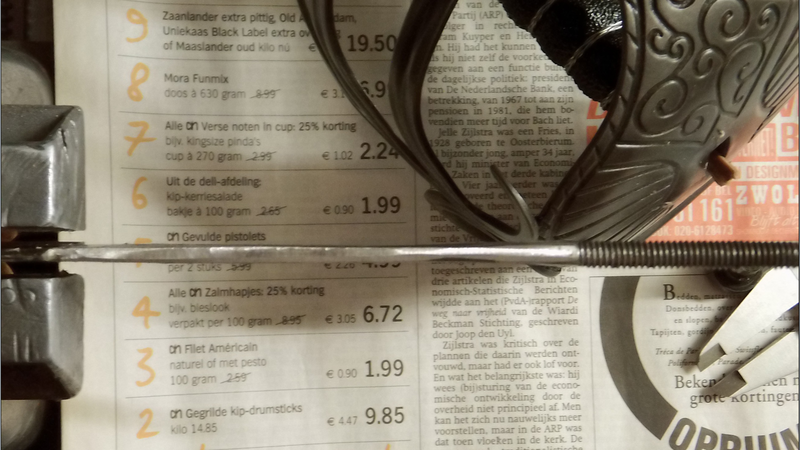 Once the shim and the grip have dried out that grip will be lose even when the sword just sits in the rack. This is a big nono and could cause trouble for CS in the future. Clearly ALL parts are made to accomodate a 6mm blade. the mouth piece are made to fit a 6mm blade. Both have the same width. The tang goes from 4+mm at the shoulder to 4mm AT THE THINNEST POINT. It then swells to 5mm at the start of the threads. Half way into the threads it swells to 5.5mm and the last bit, the bit that counts is 6mm. NEVER SEEN THIS HAPPEN BEFORE. This is weird. 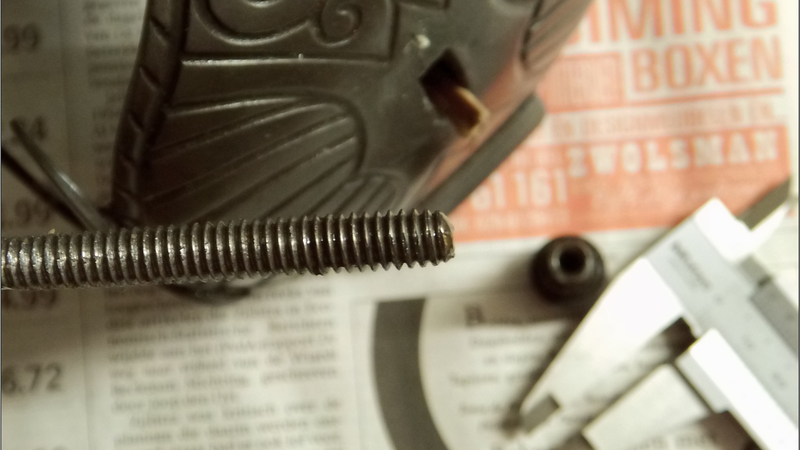 Here you can just see the head of the threaded part of the tang. Yes, that is how deep it sits in the pommel. What I do not get is that CS clearly immitated DA with this construction, while there is no need to use it and the grip is not secured at all. Before this the CS construction was so that the grip ALWAYS was held in place on the tang with a nut on a metal washer. This fitted into the pommel and the pommel had the master nut to hold everything in place extra tight. That way, whatever happened, the blade would always be stuck in the grip. 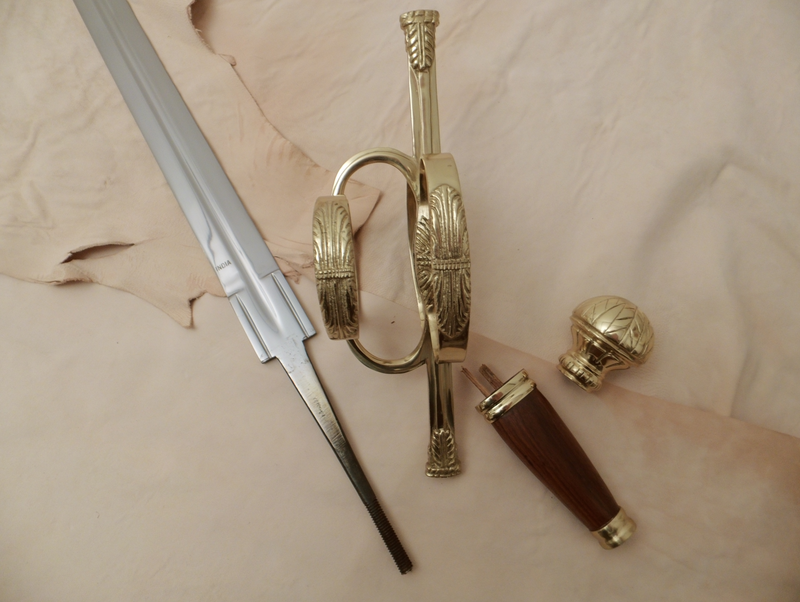 While the DA nut is good and safe for people that know swords and know about the DA construction, they just turn the screw when the assembly starts to rattle during sparring and stuff, most inexperienced buyers and that may be what? 80%? , of this sword do not know anything at all, will not hear or feel the signs nor heed them and so could wind up with blades shooting out off the too lose grips and God knows what will happen next. I find it my duty to report this sword, as it constructed and right out of the box, as unsafe. After two years I wanted to examine the tang for rust. Perhaps you find it interesting. The blade is hold securely by the big crossguard and the handle, locked in there, the handle is a 3 mm strong steel tube (magnetic). I think not much stress reaches the blade/tang transition through this construction. The tang is beefy, the threaded part not welded on. 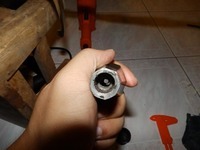 Here you see the handle from the pommel side with the hole for the threaded rod. When I got it two years ago the handle twisted a bit, so I dismantled it, added a washer and a second nut for security and was able to tighten it. 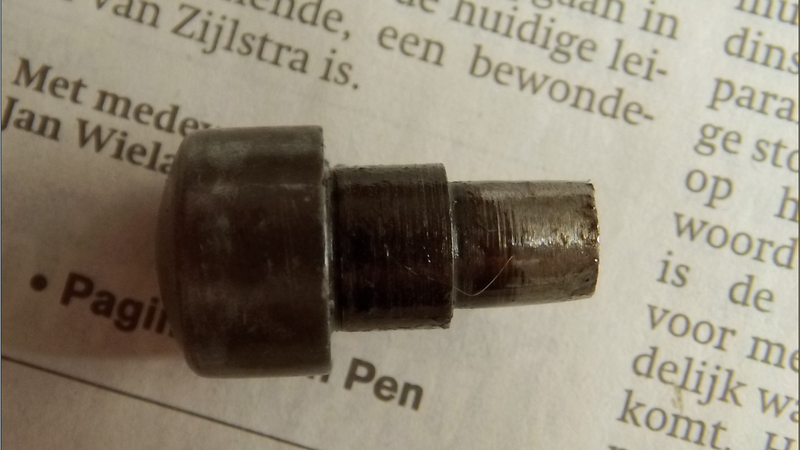 The threaded rod was a bit rusty, I cleaned it, no new rust now. 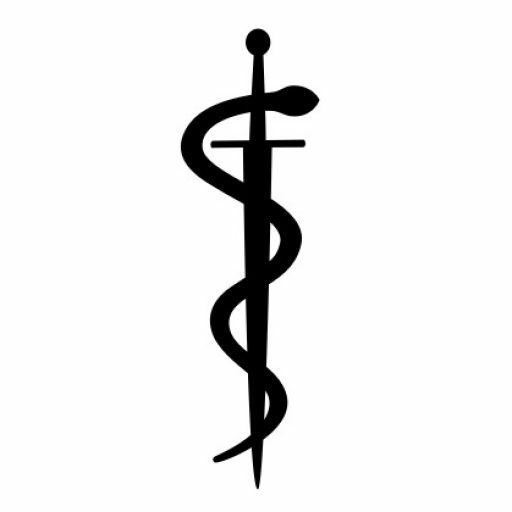 It is an unusal construction with this guard and handle-tube, but I think it is durable. The pommel is only plugged on the handle steeltube, tight, but I added some epoxy. 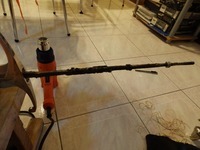 To get it off I heated the pommel in hot water (danger: hot pommel) and used a piece of wood to beat it off. Thanks to ConanfanBrazil for this trick. 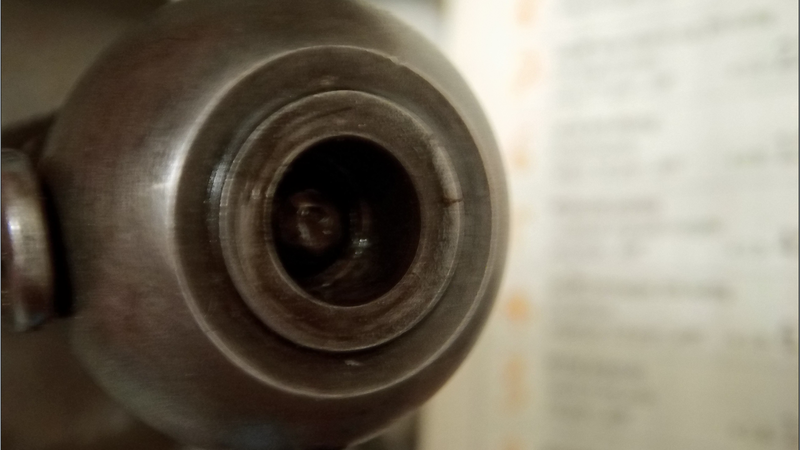 The heavy pommel is not connected to the threaded rod at the end of the tang in any way. It is sitting only upon the handle steel tube. The nut on the threaded rod holds together the guard/handle-steeltube block and locks the blade in this block. 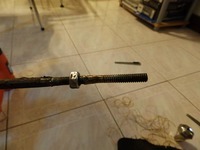 Tang after second shoulder: 15 mm narrowing over 12 cm to an 8 mm threaded rod (not welded on). Thickness of the tang: 4-5 mm, swelling to the 8 mm thread. Thank you for your contribution Andi. 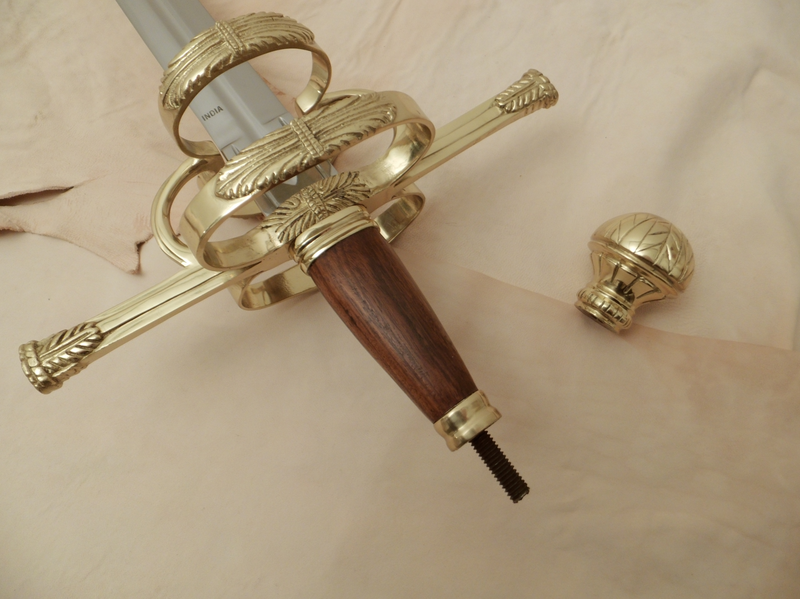 Windlass 1840 Cavalry Sabre - Peened, with the grip epoxied on. 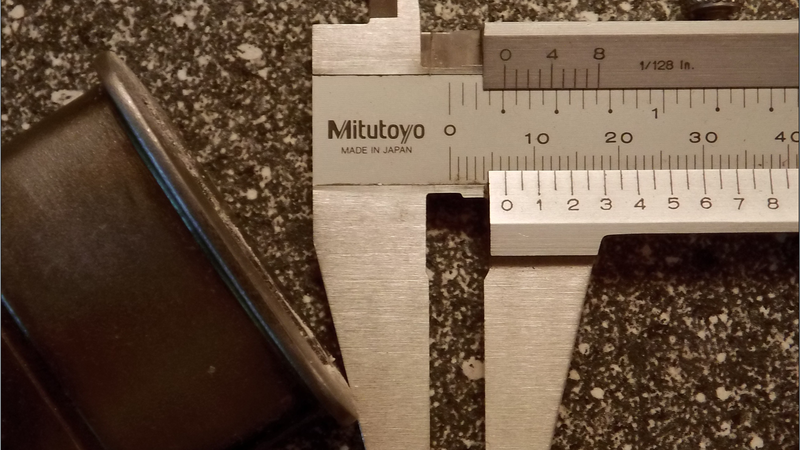 I don't have calipers so I can't get the tang thickness, but it's the same thickness as the riccosso of the blade. 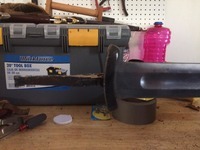 The weight of the furniture is - 12.3 ounces, the blade weighs - 1 pound 7 ounces, the blade is 35.5 inches, long, and the tang is 5.75 inches long. 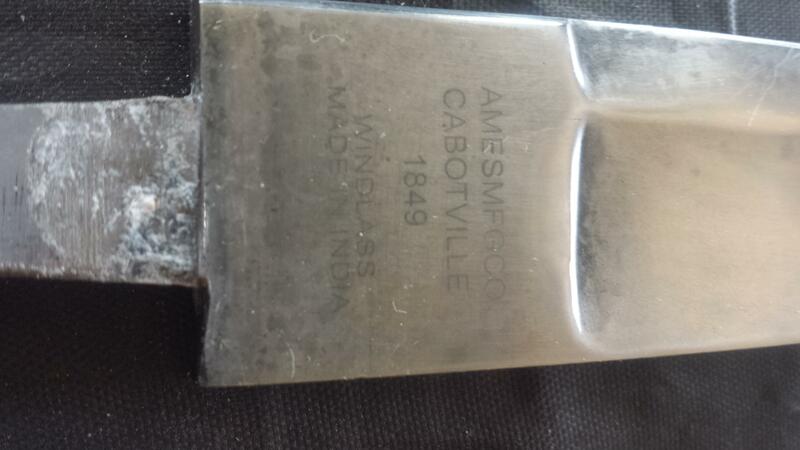 Something else that's interesting, I bought this sword from Atlanta Cutlery Co., and it's sold as the Windlass 1840 Cavalry Sabre, and is marked as such. It's hard to see and I apologize for that, that's because I tried my hand at antiquing the blade. Nevertheless, it's there. Now here's what's on the tang. 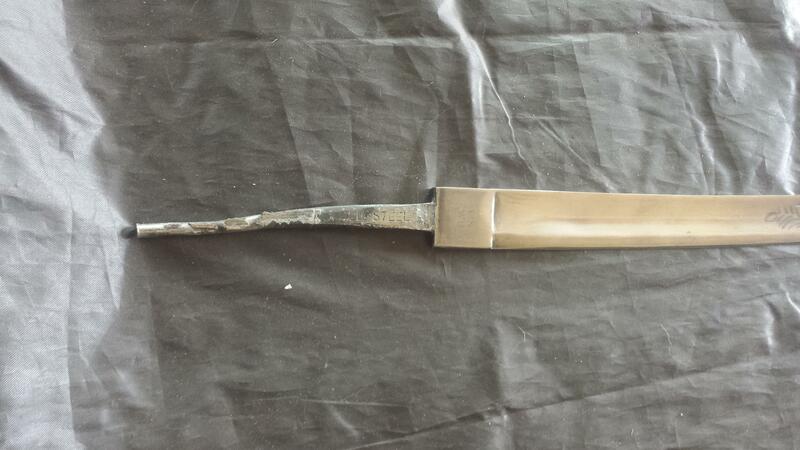 (The mark down the tang is from me sawing the grip off, and is purely cosmetic. 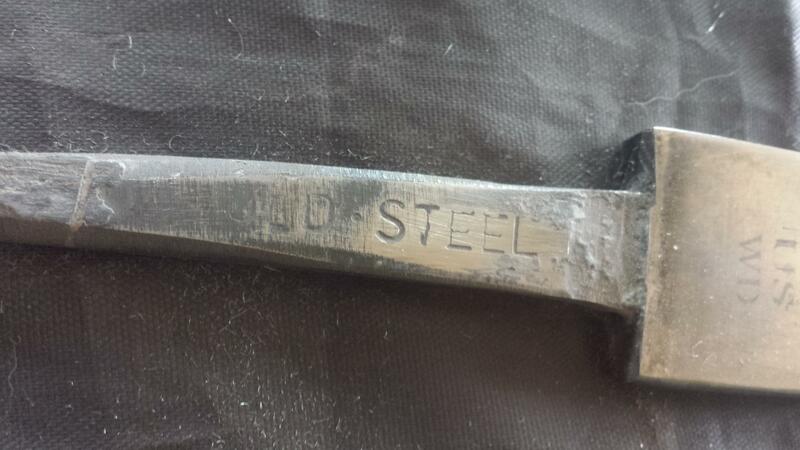 Now this one's really hard to see, but it says either "OLD STEEL" or ULD STEEL in its current shape, but could that be a cold steel stamp/engraving? They also sell the same model of sabre. Thank you for a most interesting contribution. It looks like this sabre is A okay construction wise. I am quite sure the stamp on the tang reads Cold . Steel . They are grinding the fuller too low into the tang. So, upon a hard blade to blade hit, this happened. Welp. Weakest part of the blade failed. Albions and Regenyei look even better for the money now. Edited post. Added two more photos of the grain structure and the thickness of the steel in the middle of the break. Thank you for the extra images. I hope there where no injuries. I have looked into this and after a good mornings search I could not find anything about these blades breaking. On the contrary, the blunts, with or without fullers, seem to hold up well under the most extreme conditions. If this issue was a constant, I should expect a lot of posts about this. 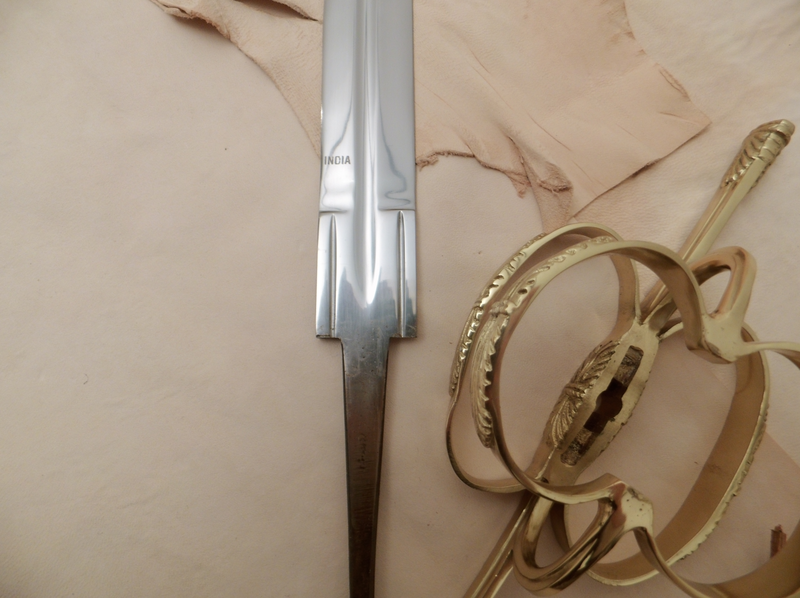 The more so because these blades are often used in full contact combat. 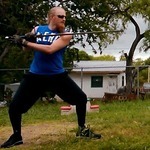 When the Hanwei Practical rapier blades broke all over the place some years ago, the rapier fighting community was up in arms with many a thread about that problem. With good results I might add, as Hanwei fixed the temper problem directly. Though I am not an expert, I have to conclude your accident is a one off and not a problem inherent to the Hanwei / Tinker line of fullered blades. Contrary to what you suggest, the problem may be that in your case the tang at that point was too hard. Not drawn back enough. I hope you will contact Hanwei / Tinker and ask them to look into this. And send you a new blade of course. Heck, even Albions fail and they're 5 times the price. From the photos, the grain actually seems very fine and thus heat treat might not necessarily be the issue. I'm not an expert, but normally you'd almost see the crystals in large grain steels. Just got a scale so I've edited my existing posts to correct overall weights and added guard and pommel weights. Sorry, Findlithui. I thought the forum would email me when I get a reply. I will get the measurements when I get home. 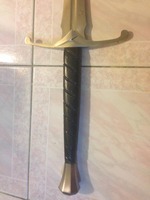 So, I will have a post about this sword on savagesteel.blogspot.com, but I felt this information would also be useful here. I bought the Hanwei Godfred Damascus Viking Sword, kultofathena.com/product.asp?item=PC1010, years ago. I did some light cutting with it on some brush, and the pommel snapped right off of the peen. I decided, before I sent it out to Wes Beem at Lonely Forge to have it fixed, to deconstruct the handle (which was tough as nails and VERY well put together, mostly) and show you what it looks like beneath the surface. Enjoy! This seems to be the several years older version with the fuller not reaching into the crossguard. 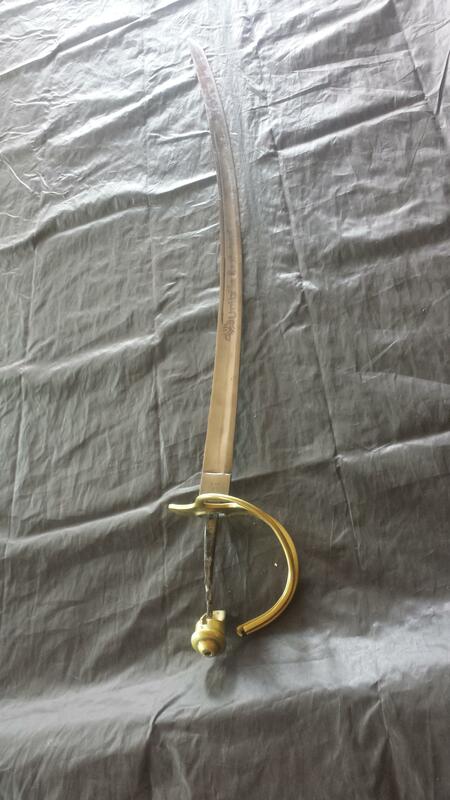 Vintage Windlass Two Ring Sword. Build like a rock. The tang is nice and clean. The treaded section is NOT welded on and 8 mm! thick. The blade slot is very well done and quite deep. All parts are well made and sturdy. Even the shims in the grip are made of thick hard wood. 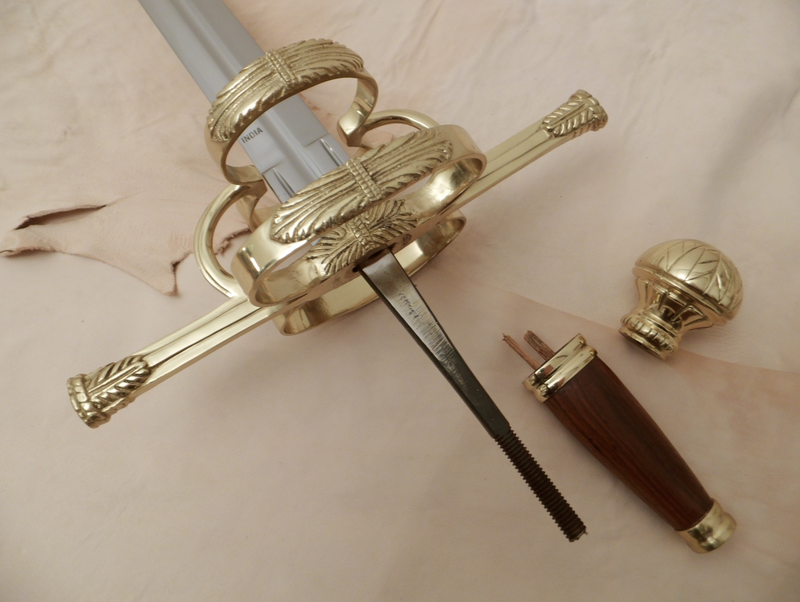 This sword asks for a better blade and I see no problems with building a custom version.